What You Can Expect From Laura B. Historic home shopping in Downtown, Central Phoenix can be as artsy and unique as the historical home itself. The cultural offerings in a Phoenix historic home are desired by a select, distinctive taste and there are many types of historical homes in Phoenix for sale. It takes a certain person to buy a historic Phoenix home. It also takes a certain type of Real Estate Agent to help such people in their Phoenix real estate venture. You will continue to read about all the wonderfully amazing reasons and locations to choose Historic Central Phoenix and Downtown Phoenix neighborhoods as you browse this website and do free MLS homes searches. One of the hottest trends in real estate has become the restoration of historical homes. Be sure to check out our free, full MLS LIVE and ACTIVE list of Phoenix homes for sale. The Phoenix Historical Districts, with its rich history, has a wonderfully textured architectural past which allows a wide variety of historic homes for sale to choose from. Downtown Historic Phoenix, Midtown Historical Phoenix, Central Avenue Estates and the Central Corridor, are host to historical homes that demonstrate the great and ever-changing architectural trends of the past. Whether you want to restore a Phoenix historical home, move into a historic Phoenix home which has already been restored or some combination thereof, the Phoenix historical districts and the Phoenix-Metro historic districts have plenty to choose from in many different price ranges, styles, cultures and conditions. Red Brick homes, Spanish Revivals, Colonial Revivals, Tudor Homes, Pueblo Revivals, English Cottages, and Bungalows are just a few of the stunning styles of historic Phoenix home elevations to choose from and are scattered throughout the different historic districts in Phoenix. Some of the more popular historical Phoenix homes districts and homes are in Willo Historic (Many people favorite Willo), Roosevelt Historic Coronado Historic and Encanto-Palmcroft Historic, but there are so many other charming and quaint, up & coming Phoenix historical districts too. Del Norte historical district has some wonderful homes as does North Encanto Historic District, Garfield Historical District, Pierson Place historic district, Phoenix Homesteads, and Cheery Lynn historical homes districts. Don't forget about homes in East Evergreen historic district, Encanto Vista historical district, F.Q. Story (Story, FQ), Country Club Park Historic district, or Fairview Place Historical district. Properties along Central Avenue are becoming extraordinarily popular. The growth in high-rise living from lofts to luxury condos is gigantic with tons of ground-floor opportunities. The urbanization in downtown Phoenix is extraordinarily rapid and exciting while there are a lot of wonderful properties to choose from. This website is designed for you to search Arizona MLS for historic properties by individual Phoenix historical districts. 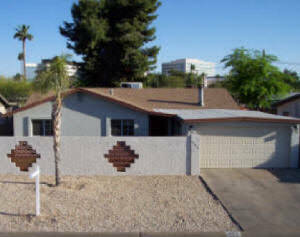 You can also search Tempe historic homes, Glendale historical homes, Scottsdale Historic Homes and other terrific central Phoenix neighborhoods like Arcadia and the Biltmore and of course, homes for sale on Central Avenue. Don't forget about Scottsdale Luxury & Paradise Valley Luxury Homes For Sale, or lofts, condos & high-rises in downtown Phoenix, the much sought after North Central Phoenix homes, and, especially homes surrounding the festive Copper Square area. Be sure to check out the Arcadia neighborhood as it's also one of the most sought out neighborhoods of Phoenix. You can also do a private, free, no obligation FULL MLS search for all Phoenix and Phoenix-Metro homes while customizing your search tailored to your needs & wants. If you need assistance and/or to have a custom search set up for you, please contact Laura Boyajian at 602.400.0008. 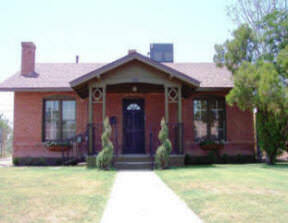 "4 Critical Factors In Choosing A Phoenix Historical Homes Realtor". If you are a First-Time Home Buyer, I can help you get into a charming home so you can purchase your first big investment and begin building equity for your future. And, first-time Home Buyers are getting into the game by buying up foreclosed properties at SUBSTANTIAL discounts. The advantages of buying a home in a designated Historic Phoenix district are numerous such as value stability, resale values, tax breaks and grants. Still, there’s much to learn about buying and owning a historic property BEFORE buying one, and it's crucial that you have the experience behind you throughout the process. Owning a piece of historical real estate is a joy, an art, and an incredible experience. When shopping for Phoenix Historical homes for sale, enjoy browsing through this site as it offers a plethora of historic homes in the Phoenix and Phoenix Metro areas along with a bunch of valuable information. Click HERE to see the current Foreclosed & Lender Owned Properties For Sale. (Check back daily as new properties are constantly added)! CHECK OUT OUR NEWEST LISTINGS OF LENDER OWNED / REO HOMES FOR SALE! Private Lender CAN, WILL and DOES 100% Financing! SOLD but we have others! Offered at only $260,000 - WAY NICE! SOLD! But we have others! This amazing home is being offered for only $275,000.